It is very important for job seekers in Canada to learn how to make Canada resume because when the resume is in the Canada style it helps the applicants to a great extent in getting a job immediately. Though the Canada resumes can be prepared in a variety of formats, all the formats are of the same standard. By way of using the following tips while preparing the resume one can easily learn how to make Canada resume. The Canadian employers prefer short resumes. Those who have no working experience may try to prepare 1 page resume. Common resume for all job applications are not accepted in the Canada job market. Those who know how to make Canada resume will see to it that a customized resume is prepared for each job application. The opening part of the resume should clearly indicate the specific job for which the job seeker is applying. The resume should be reflective of the specific skills and other requirements of the job. Sometimes, the applicant may have to prepare a completely revised resume. Those who want to learn how to make Canada resume must realize that details of previous work experience is a significant part of the resume. Work experience is in fact a precious asset of the applicant irrespective of whether it was a paid job or not. Hence the resume should contain details of all work experience including voluntary services by the applicant. 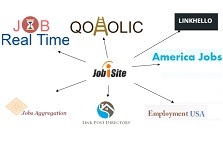 The employers in Canada are very particular about the online presence of the applicant. While learning how to make Canada resume one should make it a point to update the resume every time with the Facebook, Twitter or LinkedIn profile of the applicant. The resume which is prepared in the Canada style must be invariably clear, perfect and well organized. The formatting must have consistency through- out. The resume must have sub headings like Educational Qualifications, Work Experience, Hobbies and Interests, etc. Bold letters and bullets are to be provided wherever required. Those who prepare resumes in the Canadian style should use keywords for highlighting their qualifications and special skills. Since the employer will not read the resume word by word they expect the applicant to use the keywords naturally as many times as possible. Prior to forwarding the resume the applicant may take the print and view the same. The resume may be checked for errors in the various entries like title of job, company name, the dates and other specific details. The Canadian style resumes are made either as chronological resumes or as functional resumes. In chronological resumes the previous positions that were held by the applicant are to be mentioned in the order of time. The latest employment will come at the top and the first employment will be the last in the list. This type of resume is ideal for applicants who have a lot of experience in the relevant field. When the resume is skill-based, it is called functional resume. In this type of resume the skills acquired by the applicant in the previous jobs are highlighted. Functional resume is ideal for fresh graduates or those who want to switch over to new careers or when the service record of the applicant has major time gaps.